British workers are set for more wage pain as figures published on Tuesday (June 12) showed earnings growth slowed in the three months to April. The data from the Office of National Statistics (ONS) reported that average total wages grew by only 2.5 per cent year-on-year in the three months to April, a slowdown from the 2.6 per cent rate in March. Wage growth excluding bonuses dipped to 2.8 per cent from 2.9 per cent the previous month. The latest figures were lower than expected by City analysts, who anticipated wage growth to stay steady. Despite wage growth being only slightly higher than the current rate of inflation — which is now at 2.4 per cent — it isn’t enough to end the persistent squeeze on living standards after workers faced an inflation high watermark in November of 3.1 per cent. “At this rate pay packets won’t recover to their pre-recession levels for years,” she added. O’Grady pointed out that real wages increased by 27 per cent in the decade before the financial crisis, but in the decade since, they’ve plummet by 4 per cent. In May, the TUC conducted a long-term analysis that showed the bigger picture — and the results showed that Britain is in the midst of the worst period of wage stagnation in 200 years. A decade after the financial crisis, real wages are still worth £24 a week less than they were in 2008. Predictions show that wages won’t recover to pre-crash levels until 2025 – that’s 17 years of wage decline. The TUC analysis found that there hasn’t been a wage slump in the UK this sustained since 1798. Even during the Great Depression and the Second World War, wages recovered more quickly than they are predicted to recover now. Unite assistant general secretary Steve Turner highlighted the problem of record-low unemployment that has failed to boost wages. “That wages continue to stagnate even as unemployment drops shows that these thousands of new jobs added to the labour market that the government constantly crows about are simply not enough to get by on,” he said. “We are creating an economy that is built on insecurity – gig work, bogus self-employment, and zero- and short-hours contracts. “Much of this period of wage stagnation – the worst seen since Victorian times – comes down to failed economic policies by this and the previous Tory government. They’ve failed to invest in our key industries, they’ve imposed an ideological austerity agenda which leading economists have said time and again just doesn’t work; they’ve legislated against unions which are instrumental in winning workers’ pay rises. “We cannot simply wait for wages to magically improve – if there’s anything we’ve learned from our post-financial crisis reality is that if we leave things to the ‘market’, they won’t. “We must take action now – to organise ourselves more effectively and build a strong, powerful and confident trade union movement winning industrially and politically for working people, our families and communities and introduce an immediate hike to the minimum wage to £10 an hour would be a start. Separate figures published by the ONS this week showed that a record number of women aged 65 and over are working — nearly half a million women that age are in work in the three months to April, up 6.4 per cent the previous quarter. It was the biggest increase of any group. 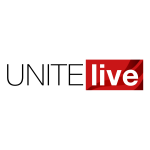 Like Turner, Unite national officer for equalities Siobhan Endean said that more and more people in work is cold comfort for the millions of workers — mostly women — who are stuck in low-paid work. “So many of the problems caused by failed economic policies are hitting women hardest,” she said. “Research has shown that women have shouldered 86 per cent of the burden of austerity since 2010. Recent cuts to tax credits and Universal Credit are some of the latest examples of austerity measures predominantly affecting women. 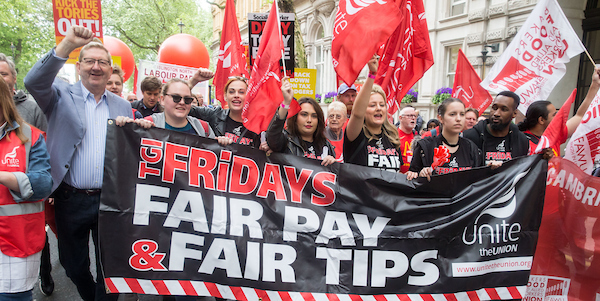 Women are also disproportionately affected by pay freezes in the public sector, and they’re much more likely to be in insecure work such as zero hours contracts. Endean highlighted too the persistent gender pay gap that’s dragging down women’s wages. “Companies will try to say that the gender pay gap is due to women choosing to work part-time and wanting to work in low paid jobs, while justifying sky-high executive pay for their predominantly male senior employees,” she said. Turner laid the blame for the UK’s longest period of wage stagnation in two centuries squarely on the shoulders of this and the previous Tory governments. “They’ve failed to invest in our key industries, they’ve imposed an ideological austerity agenda which leading economists have said time and again just doesn’t work; they’ve legislated against unions which are instrumental in winning workers’ pay rises,” he said.